"Embracing the stink is what festivals are all about." 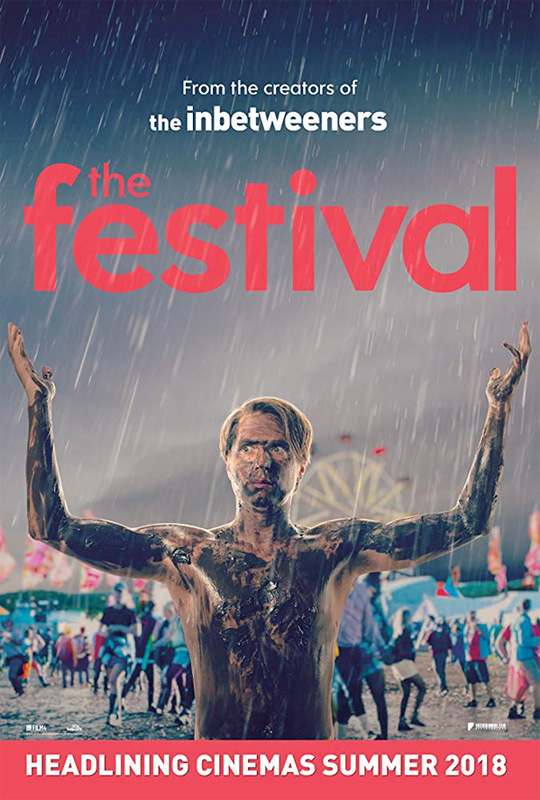 Entertainment Film UK has debuted the full-length official UK trailer for a British comedy titled The Festival, made by the creators of the hit TV show "The Inbetweeners" (and the movies as well). The Festival is a comedy "about friendship, growing up, and going mad in a field." After Nick's girlfriend dumps him, his best mate Shane has the perfect antidote to his break-up blues: three days at an epic music festival. Of course, all kinds of weird, ridiculous things happen. Joe Thomas stars as Nick, and the cast includes Nick Frost, Hammed Animashaun, Claudia O'Doherty, Jemaine Clement, Hannah Tointon, Lizzy Connolly, and Noel Fielding. This looks even worse the more they show from it, so utterly stupid in every way. I'm just tired of these kind of super dumb comedies. You can still watch the original teaser trailer for The Festival here, to see the first tease again. When Nick's (Joe Thomas) girlfriend dumps him at graduation, he has a colossal meltdown in front of the entire university. He's convinced his life is over, but his best mate Shane (Hammed Animashaun) has the perfect solution: three days at an epic music festival. With the help of "festival aficionado" and certified oddball Amy (Claudia O’Doherty), Shane tries to get Nick to embrace the music, the mayhem and the mud. The Festival is directed by British filmmaker Iain Morris, director of the The Inbetweeners 2 movie, and a producer/writer for numerous TV shows in the UK including "The Inbetweeners". The screenplay is written by Keith Akushie and Joe Parham. Entertainment Film will release Iain Morris' The Festival in select UK theaters starting on August 17th, but no US release date is set yet. Stay tuned for more. Anyone interested?